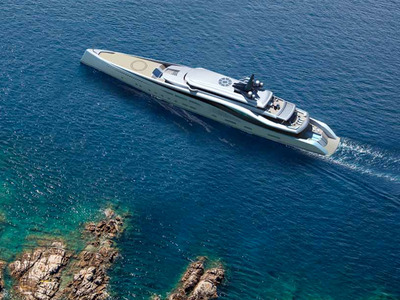 The Stiletto is not your average superyacht. 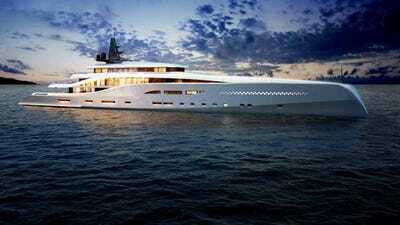 Instead, it’s a 351-foot floating slice of paradise. 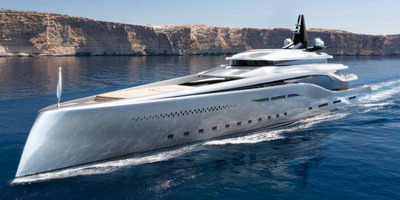 Right now, it’s just a concept design by Netherlands-based yacht builders Oceanco, but if built, it would rank among the largest yachts in the world. The amenities include a glass elevator and an unparalleled view of the surrounding ocean framed by 20-foot floor-to-ceiling windows. The Stiletto is a 351-foot superyacht designed for incredible views. The aft of the ship has a unique system of angled shutters that could let light and air into the deck of the ship, but keep rain out. 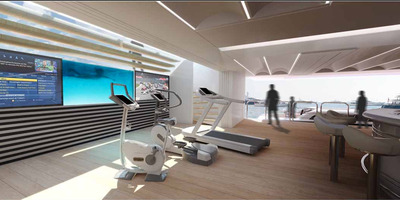 The open design of the ship's salon would have floor-to-ceiling windows and a 20-foot ceiling. 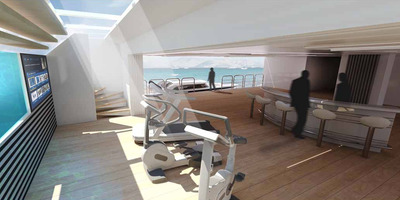 An exercise room is also included in the floor plan. 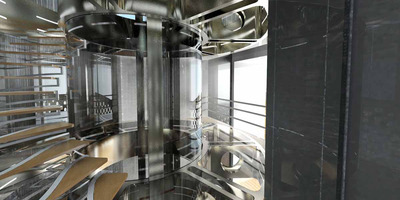 It would be filled with natural light and located very close to an outdoor bar area. 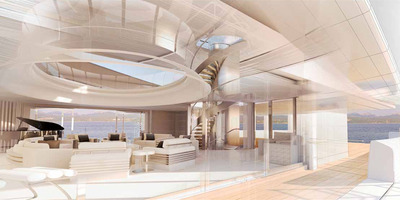 The cylindrical glass elevator would offer a stylish way to move between the decks of the ship. 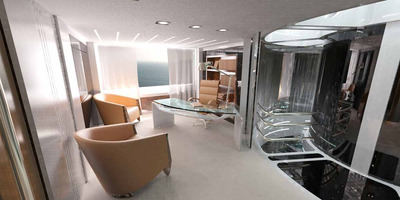 In total, the ship's owner's suite, VIP cabin, and six other guest cabins would be able to sleep 18. 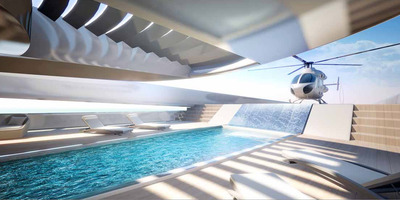 A helicopter pad on the stern of the ship sits above a mini-waterfall that pours into one of the ship's two pools. 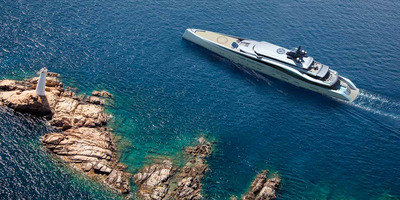 With its dual diesel motors coupled with a hybrid electric, the Stiletto could reach a theoretical top speed of 18.5 knots. 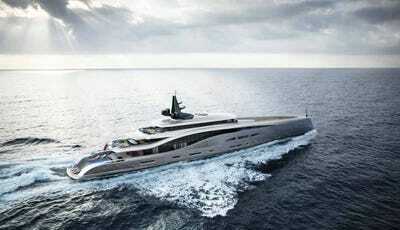 If built, it would be one of the largest yachts in the world.